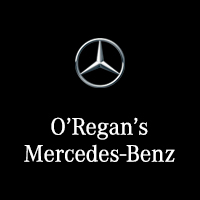 Prepaid Maintenance is available for most Mercedes-Benz models* at the time of purchase, or any time before the first scheduled maintenance service. * Prepaid Maintenance is available for 2014 and newer models, and is not currently available on G550 or SLS models. † $15 Based on 45M/3 Services B, CLA and GLA. ‡ When Prepaid Maintenance is purchased as part of the lease contract, with matching terms; applies only to vehicles that are returned at end of lease term. Not applicable to Sprinter models. x Monthly payment options only available at the time of vehicle purchase (lease or finance deals). § Certain terms and conditions apply. ll Prepaid Maintenance coverage is available for work performed at an authorized Mercedes-Benz Canada dealership only.